In introducing this reissue of The Rousing of the Scottish Working Class (1979) to a new generation of readers in Scotland, England, Ireland, Wales and North America, especially in Canada, I require to say it was the first of the twelve books I have had published since 1979. 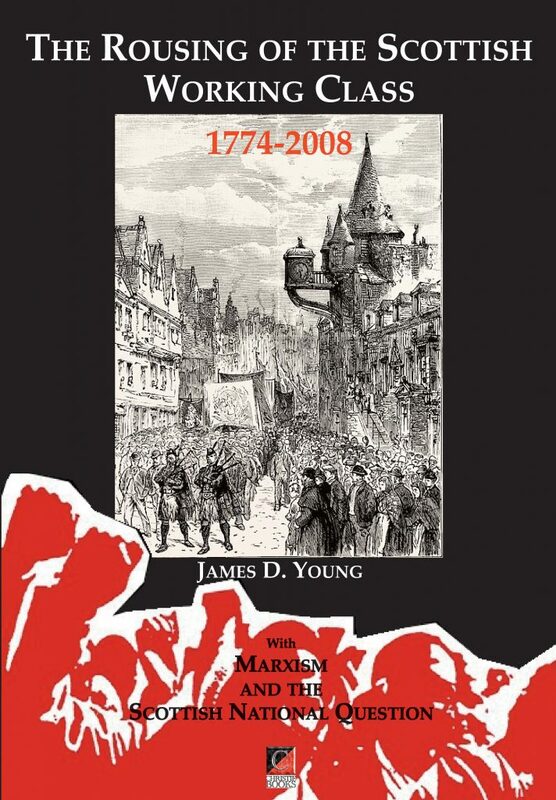 It was widely reviewed, mostly denounced in Scotland, upset Unionist historians, questioned by a few prominent members of the Scottish National Party, and made a big and sympathetic impact on what was still a strong Scottish labour movement. It was not a book for ambitious scholars interested in promotion at the cost of the truth to identify with or praise; and, when first published David Daiches, the Scottish literary authority praised, and then bowed to pressure in later years by ignoring it. It was published by Croom Helm, London, Fontana Books, London, and McGill-Queen’s University Press, Montreal, Canada; and it was later published by two American publishers. It was in 1994 that Professor Willy Maley wrote an article ‘Cultural Devolution? Representing Scotland in the 1970s’ for the book The Arts in the 1970s: Cultural Closure? (1994), where he responded to the silly attack on The Rousing of the Scottish Working Class by Christopher A. Whatley. Maley wrote with penetrating, analytical skill.